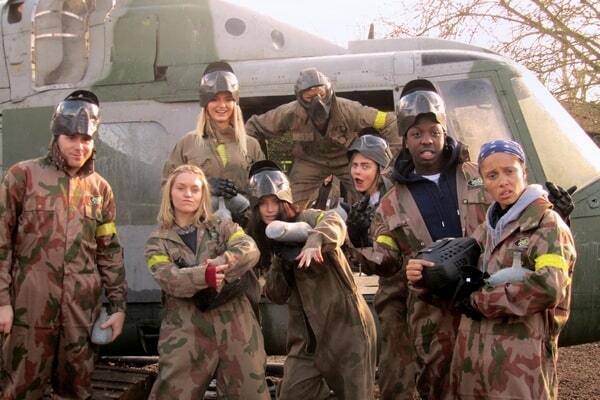 Michelle R. & Cara D. get messy at Delta Force Paintball! Brand new celebrity BFFs Michelle Rodriguez – star of Hollywood blockbusters Avatar, Battle Los Angeles and the Fast and Furious franchise – and British supermodel Cara Delevingne, who currently rubs shoulders with some of the world’s most famous models, musicians and other socialites, teamed up yesterday to celebrate the 21-year-old Cara’s belated birthday. 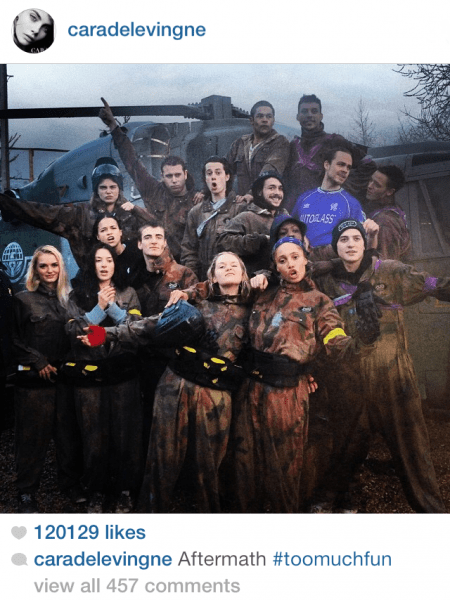 In keeping with their celebrity life-style the stylish couple took to the world renowned Surrey Delta Force Paintball centre to host their epic adrenaline-fuelled bonanza, with a hoard of other models and musicians in tow. Playing paintball on the back of a night out in East London the famous crowd were determined to continue the party. Having met recently through mutual friend Rihanna, Cara and Michelle seemed keen to maintain their close friendship that came to the fore two weeks ago, when they were snapped getting close and personal at a New York basketball game in Madison Square Garden. The inseparable couple were also joined by British soul and jazz singer Will Heard, who collaborated with both Cara and Austrian dance producers Klangarussel on the 2013 hit ‘Sonnentanz’, and Jamal Edwards, the multimillionaire founder of the youth broadcasting and production company SB.TV. The Cobham Paintball Centre is home to the unique Space Warz game zone – a new addition in 2013 to our selection of world class game zones. However, it was the London-themed paintball scenario that proved to be the groups’ favourite, with many using the iconic London taxis and double-decker buses as cover before laying siege to the Big Ben tower! The group looked like naturals in their new wardrobe of combat overalls, body armour, paintball guns and riot shields, even taking time out to pose for selfies with staff members.